At EnerBurn we are proud of our products because they perform the way they were intended to and bring efficiency, dependability, increased performance and savings to our clients. The following citations are a sample of the growing collection of performance data that we are aggregating for our clients review. 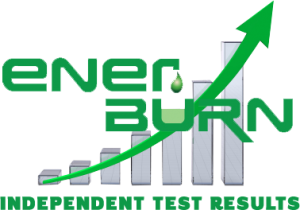 Enerburn test results are exciting when you see how effective the product is on your bottom line. The test results above were performed by independent labs and show that Enerburn catalyst is an effective solution and can improve the efficiency of diesel burning engines. These Enerburn test results clearly indicate that the catalyst effect on diesel combustion is overwhelmingly positive. Many independent test results prove that Enerburn is effective at reducing the temperatures of combustion, improves the diesel burn rate, and lowers emissions and particulates.